Senate Finance Committee Chairman Orrin Hatch. Senate Republicans have reached a trying time indeed in their repeal-and-pretend — excuse me, repeal-and-replace — effort on the Affordable Care Act. It’s that delicate period when lawmakers must say absurd things with a straight face. Sometimes, the demands of the moment can leave a senator speechless. Such was the case when Sen. Claire McCaskill, Democrat of Missouri, asked Senate Finance Committee Chairman Orrin Hatch if the committee would hold a hearing on the eventual ACA replacement bill. 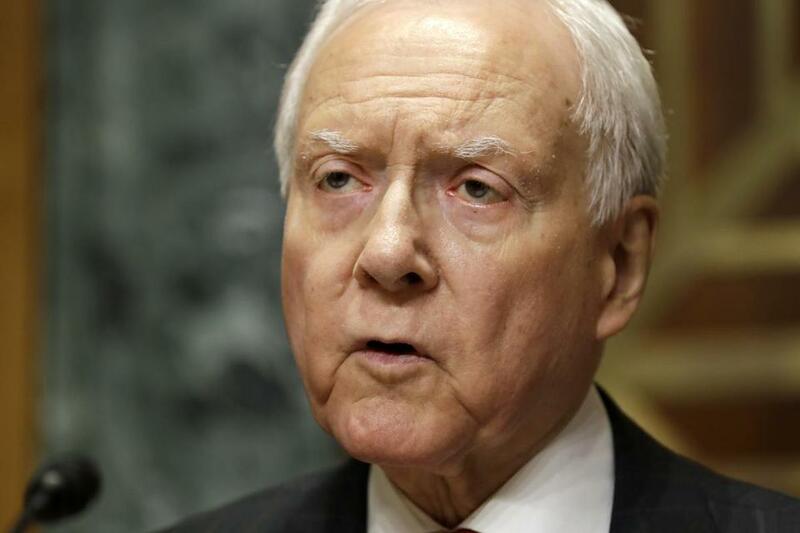 Words — well, rationalizations — apparently failing him, poor Senator Hatch waited for an aide to whisper some trumpery in his ear — and then repeated it almost word for word. It would have been a bravura performance indeed were the Utah senator a mynah bird, but since he’s supposed to be real-life thinking US senator, it stopped a wee bit short of impressive. Republican Lamar Alexander of Tennessee, meanwhile, had to crank himself into high dudgeon and do some serious mansplaining to fend off a similar question from Patty Murray, Democrat of Washington. Fast forward seven years, and now McConnell is maneuvering to do just that with the Senate’s health-care legislation. Now, that would be a big problem for anyone at all chagrined by massive hypocrisy. 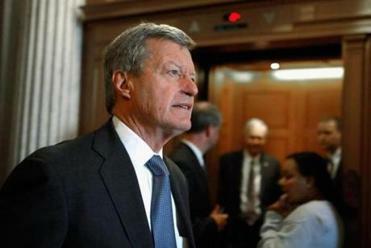 Fortunately, however, McConnell has learned Emerson’s lesson, and so knows that consistency, foolish or otherwise, is truly the hobgoblin of Senate leaders. After Ted Cruz, that is. What’s more, the crafty Kentuckian has had plenty of practice serving up balderdash in his reedy monotone. Republicans have apparently adopted their false narrative about Obamacare as their own playbook. “Nobody is hiding the ball here,” McConnell recently told reporters. Unless by hiding the ball, one means writing hugely consequential legislation in secret, and only popping it on the full Senate a week or so before they leave for their July 4 recess. Besides, it turns out that openness is highly overrated. “There have been gazillions of hearings on this subject when [Democrats] were in the majority, when we were in the majority,” McConnell noted. Now, it’s true that those hearing weren’t on this legislation and its effects, but hey, they did involve senators, and they took place in a large, hot room with tables and chairs and nameplates and big piles of paper and everything, so what, really, is the point of going through all that rigamarole again? Ah, “solution.” What a pleasing word, carrying as it does the notion of addressing problems, of remedying shortcomings, of making situations better. In the campaign, President Trump talked of an Obamacare replacement bill that sounded like an appealing, albeit unlikely, solution: a replacement that would offer everyone better health care, but at far less cost. The House’s “solution” was a bill that would result in 23 million fewer Americans having health coverage after 10 years. Even Trump, who initially summoned the House Republicans to the White House to celebrate that legislation, came to label it “mean.” Adjectives like that can prove vexing indeed. Just look at the way Chuck Schumer printed it up on a poster board and used it to embarrass Republicans in a Senate speech this week! It’s the kind of thing that might even make a small group of Republicans writing a health care bill behind closed doors do some real soul-searching. Some Republicans apparently see Trump’s comment as a way to rally the troops. One hopes Tillis meant rallying support for a somewhat less mean bill, but honestly, who knows when it comes to today’s Republican Party? After all, in the same story, Senator Rand Paul, noting that he has treated patients without health insurance — and calling himself “a very generous person” for doing so — declared: “I want everybody to have health care.” Never mind that he has been threatening to vote against Repeal and Pretend if it doesn’t extirpate Obamacare root and branch. So please, have a little sympathy. This is a tough time for Republicans. This whole charade has stripped them of the silken dignity of their process high-mindedness and left them clothed in cheap hypocrisy. It’s truly beneath the dignity of a US senator.